Multi-platinum band Staind have announced the much-anticipated release of The Illusion Of Progress (Flip/Atlantic), available August 19. The first single, Believe, hits radio and iTunes today, June 24. 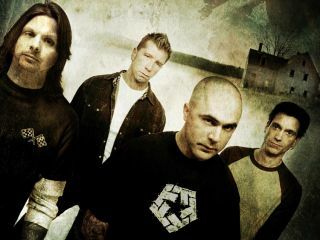 The Illusion Of Progress marks Staind's sixth studio album and is the follow-up to 2005's RIAA platinum-certified Chapter V. The Illusion Of Progress was produced by Johnny K and recorded in the home studio of Staind vocalist Aaron Lewis, with the original band lineup, including Mike Mushok (guitar), Jon Wysocki (drums, percussion), and Johnny April (bass, vocals). The band call the new project their "most musical CD," and even treated their fans to a series of intimate, behind-the-scenes "webisodes" posted on staind.com, documenting their recording process. "We went into the studio with the mindset of making our heaviest record yet," says frontman Aaron Lewis, "but the record that came out has flavors of Pink Floyd and straight-up blues. We didn't use the same rigs that we use onstage; we used all vintage guitars and amps, and I'm pretty psyched about it! The songs are pretty timeless in their texture."